I didn’t see this coming. So genius… Betsy broke up a stencil and created art on separate boards. With useful hooks! I’m SO in love with this! 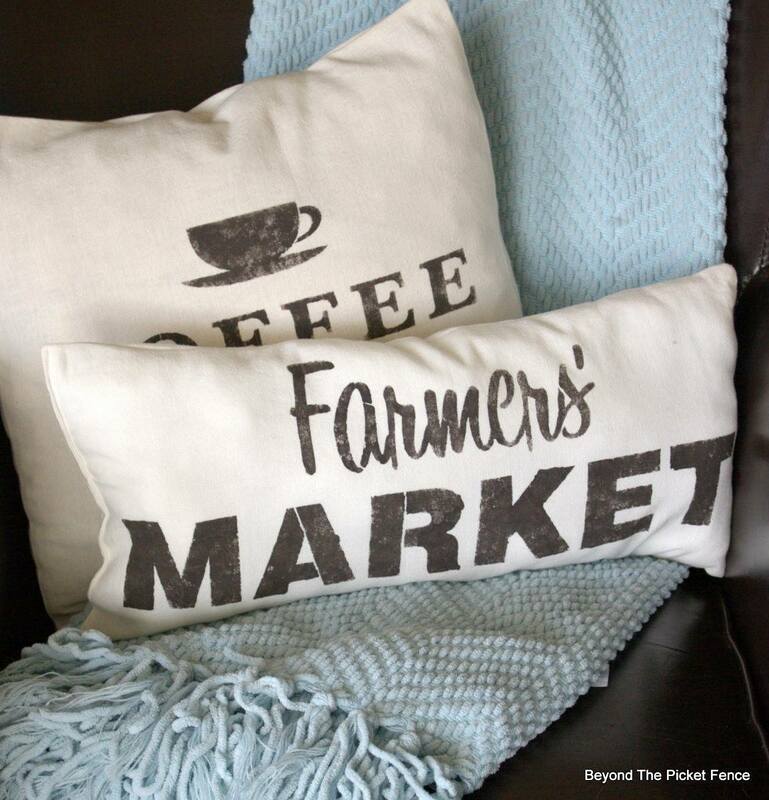 Just goes to prove, any fabric can become a super cool, personlized pillow with a cute stencil! These have such a cool canvas look. Who else wants to pile these high on a bed or sofa?! I love Susan’s rendition of a coffee station. She divided the stencil up to add interest on a lower shelf. Love this piece! 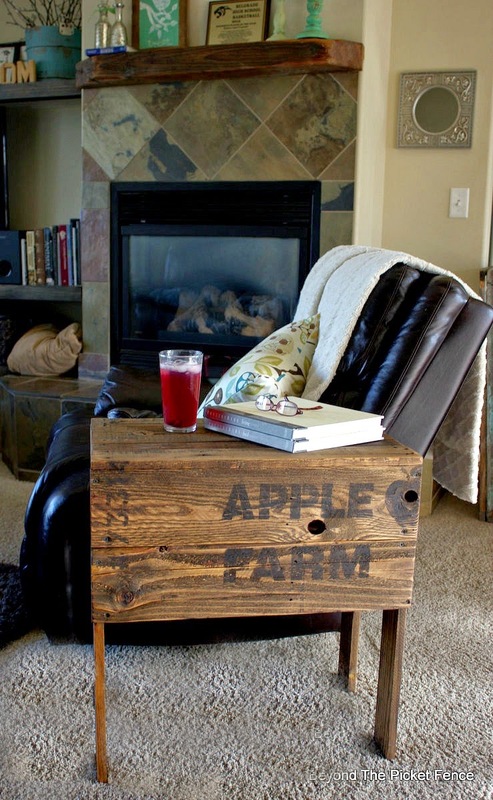 This crate is totally hand made by Becky. Did it fool you for the real thing? It sure did for me! Could anything be cuter or easier? 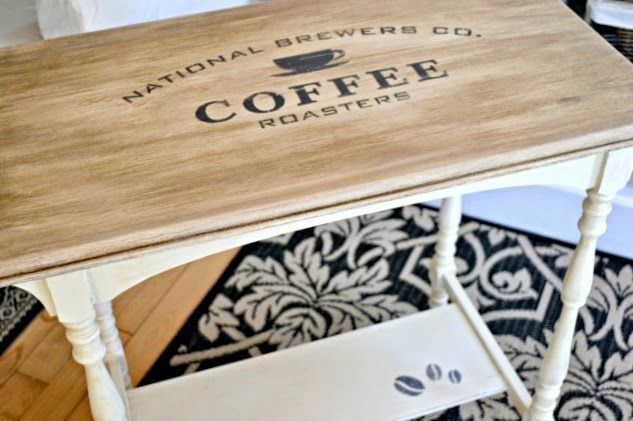 A plank of wood and a cool stencil is all you need! Instant gift or funky coffee time for you! 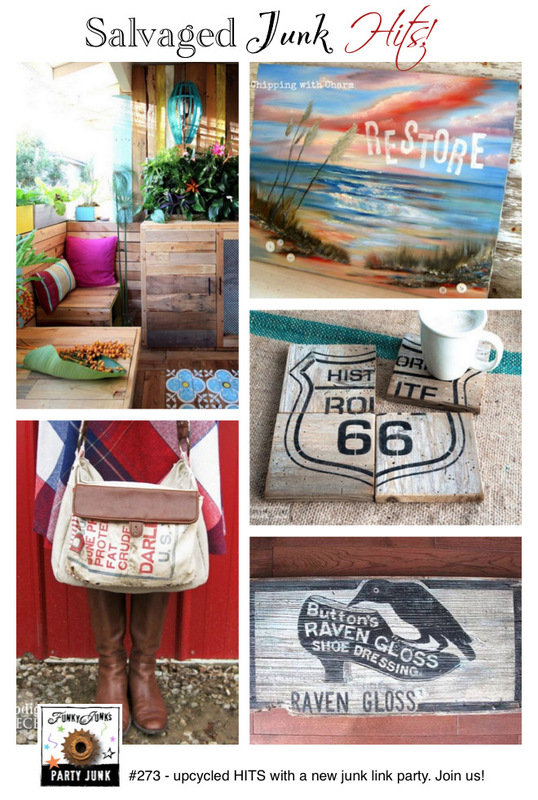 I’m proud to say, all these projects were made from Old Sign Stencils. Thanks everyone… so beautiful! Thanks for the party Donna!! Love all of the features, great stencils!! 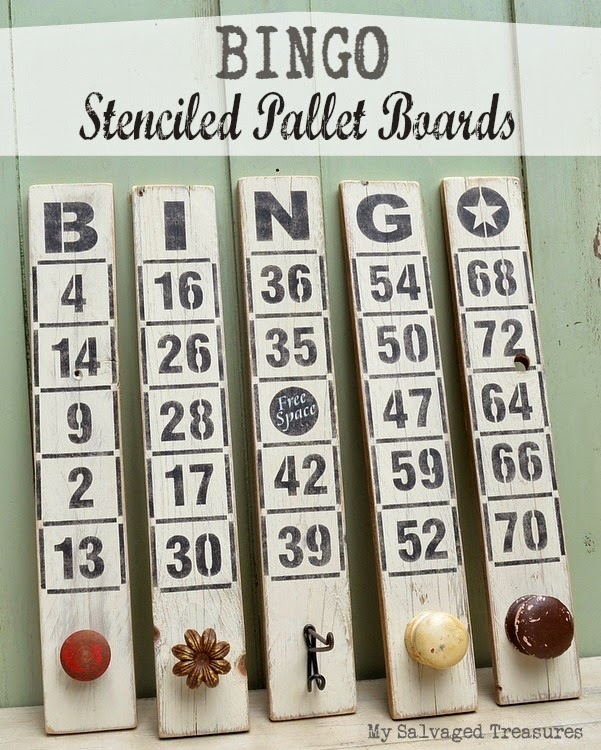 Thanks so much for featuring my Bingo boards with your fabulous Old Sign Stencil. I sure had fun playing!! Betsy… this project resembles something you’d find in Home Goods. Over and beyond wild! 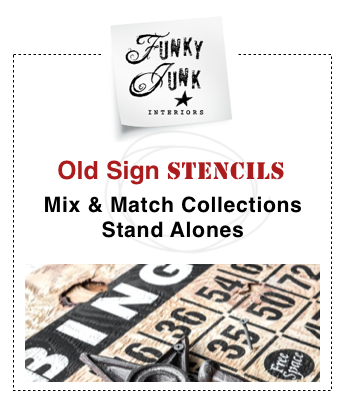 Oh Donna, I can hardly wait until the stencils I ordered arrive. 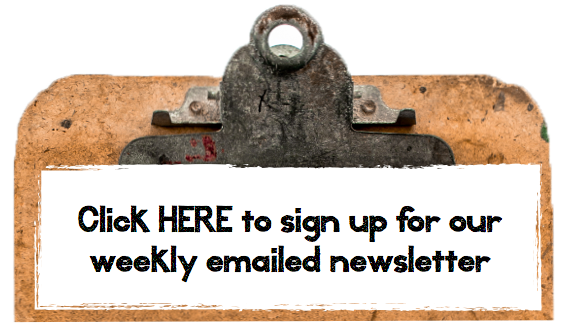 So many great ideas (and the BINGO boards – brilliant). Thats for PJ 274. Loved your posts this week. Thanks Joy! And I can’t wait to see what you make! You’ll love this one! 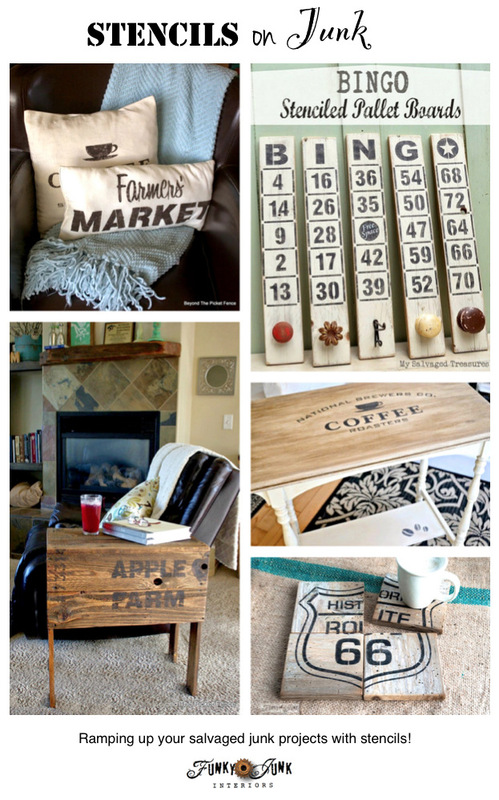 Great stencil projects, Donna! I love all of them. 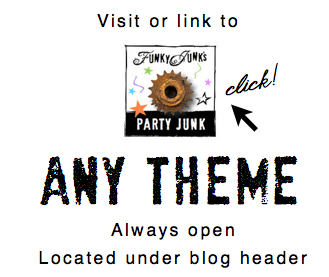 Thank you for hosting the party! Love your Old Sign Stencils! So many possibilities! Thanks for the party. I am so ordering some stencils. I’m just trying to decide which one I want. Thanks for hosting. 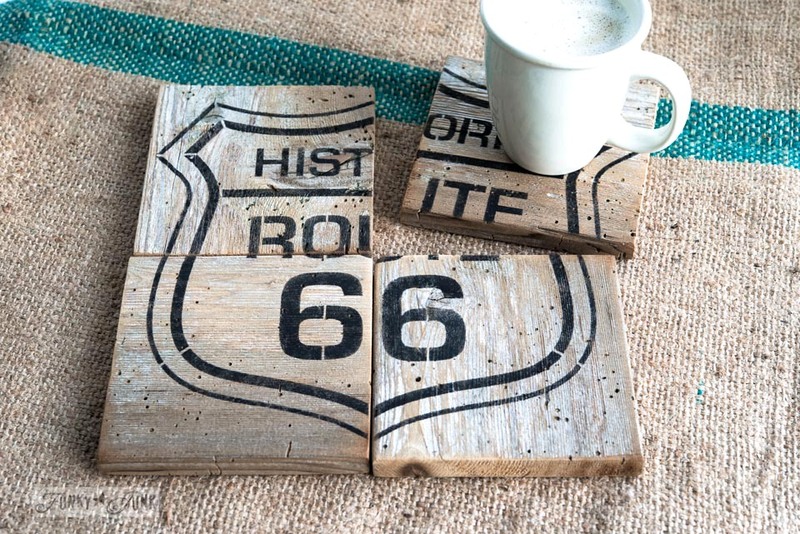 I love the Route 66 coasters, very cool! Awesome Becky! I can’t wait to see! Thank you so much for the party, Donna! Thanks for the party Donna.